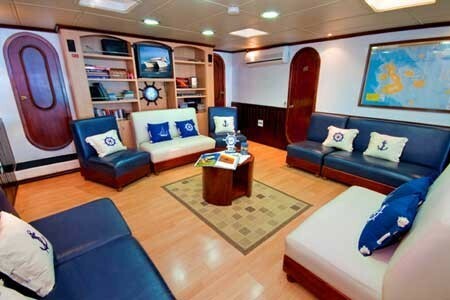 The Archipel has 8 large, beautiful, spacious double cabins at its main deck with a view to the sea, a private bathroom, hot water, closet and safe, a comfortable dining room and two bars (interior and exterior), library, air conditioning, TV, DVD, stereo, mobile, first aid equipment, ice maker, water purifier, spacious sundeck with chairs for sleeping and relaxing. 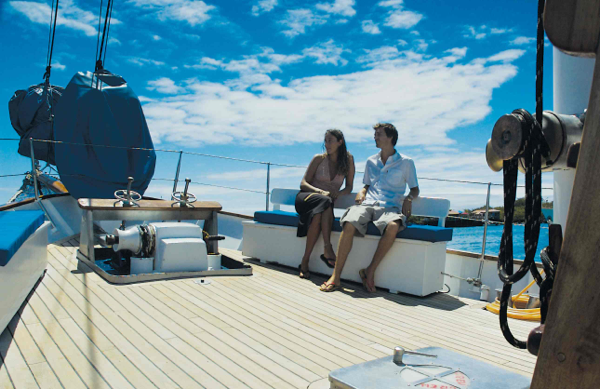 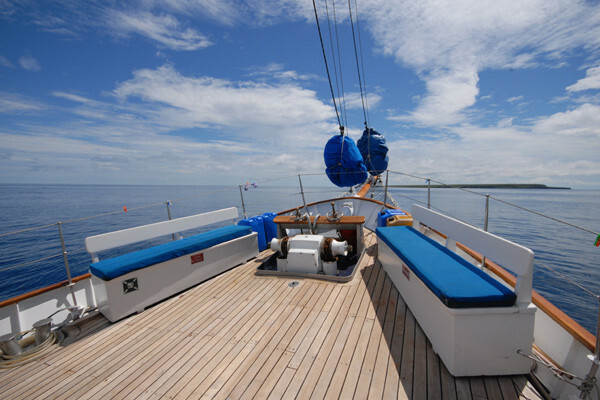 Set sail aboard our ‘First Class’ schooner rigged motor sailor. 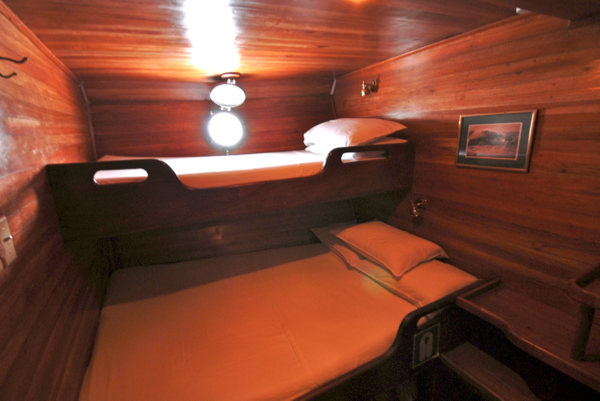 Feel free to relax and enjoy any of her three wooden decks; maybe soaking up some equatorial sun, or perhaps reading with the wind in your hair and salt in the air. 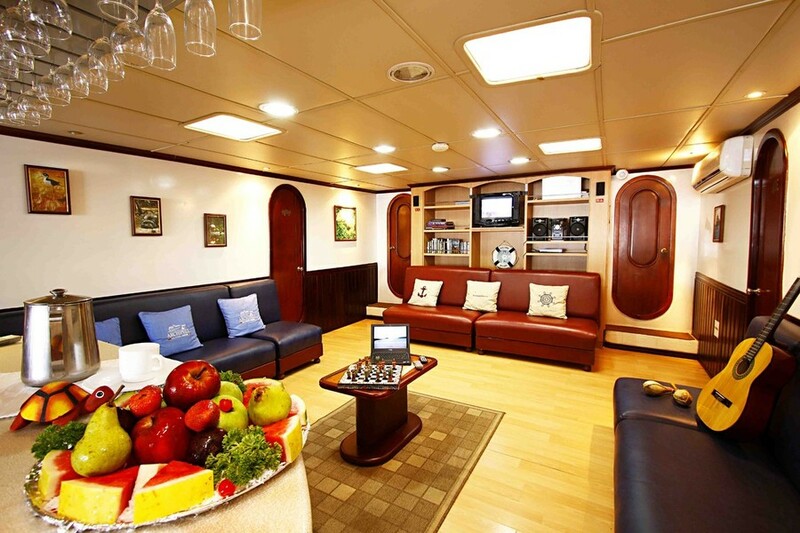 This is a beautifully decorated motor/sailer recently built in 2002 to meet all security standards, according to international marine safety regulations. 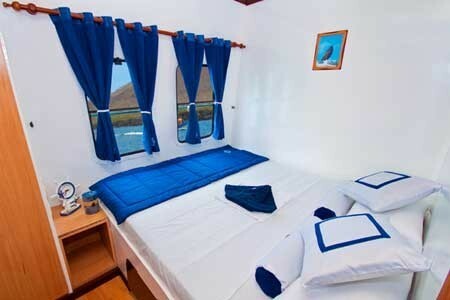 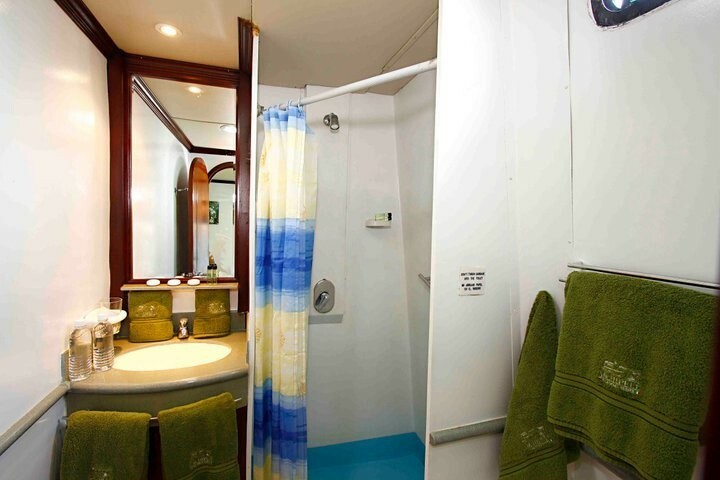 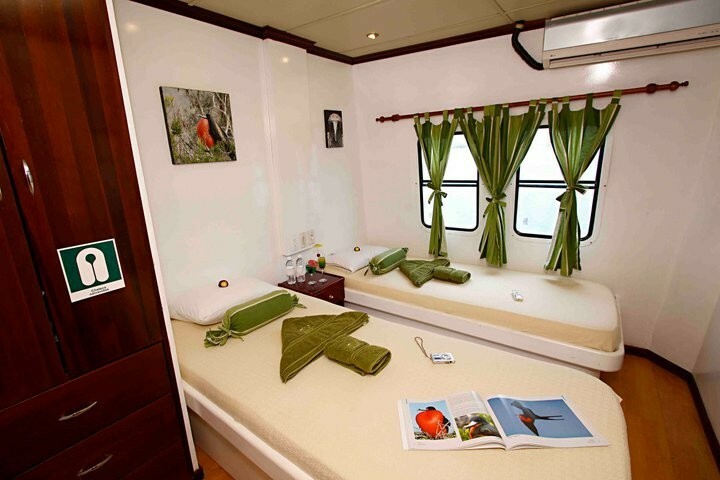 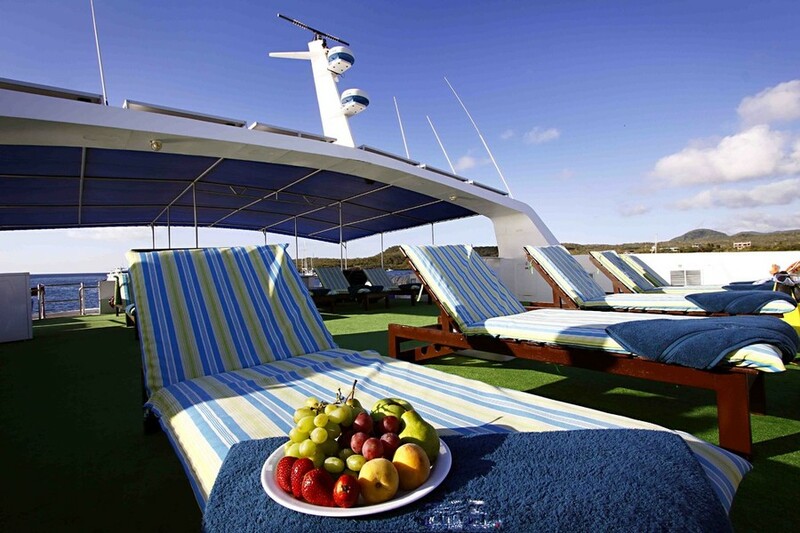 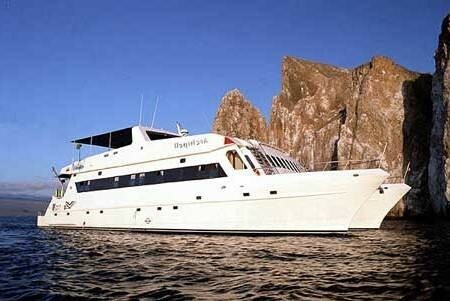 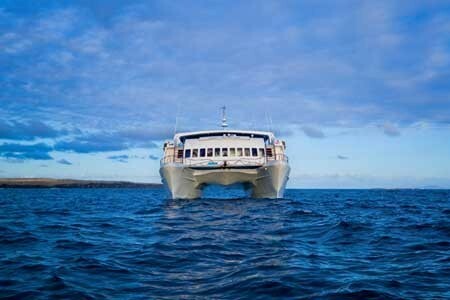 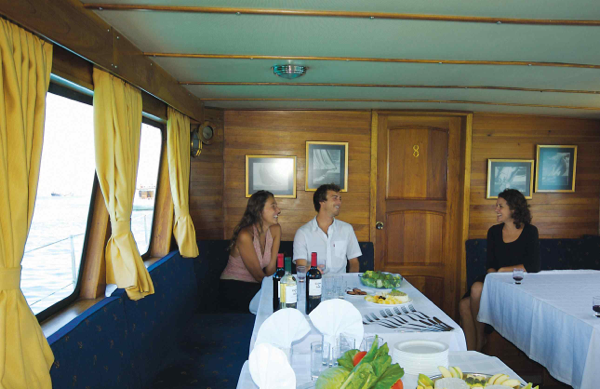 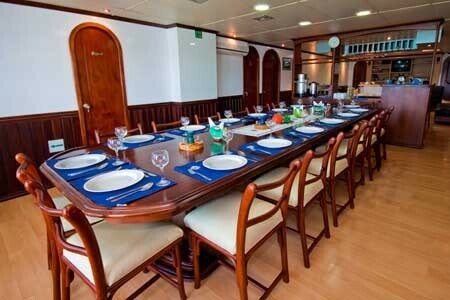 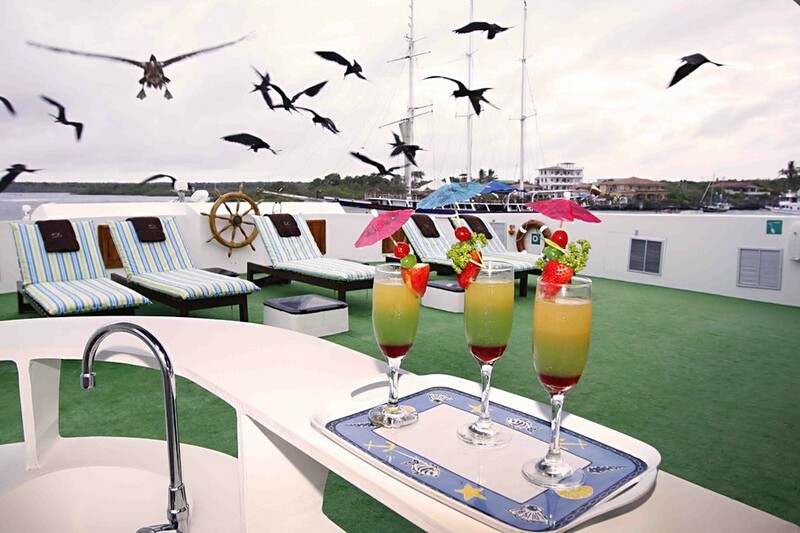 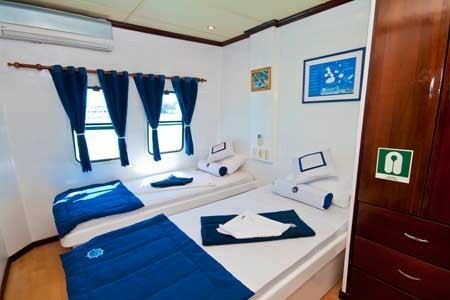 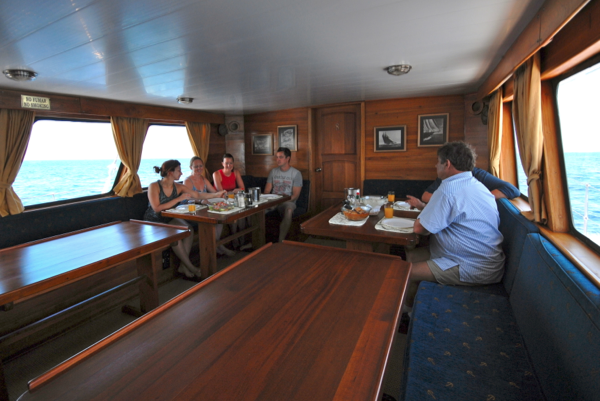 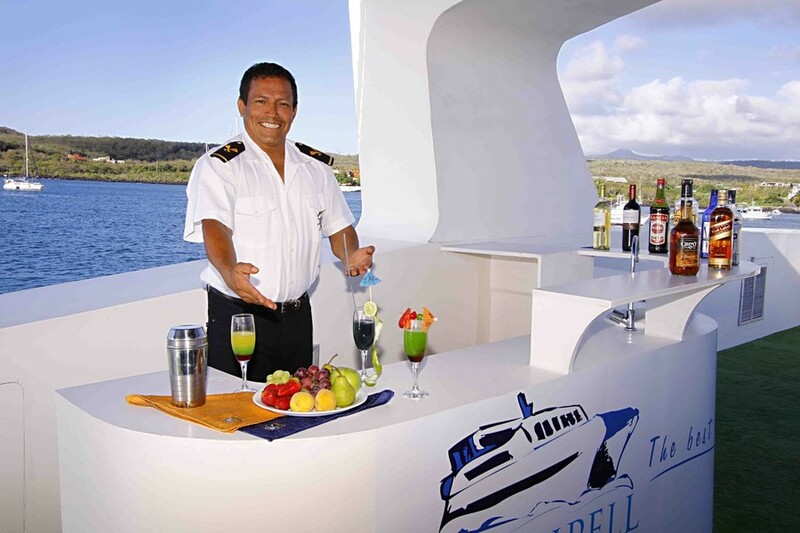 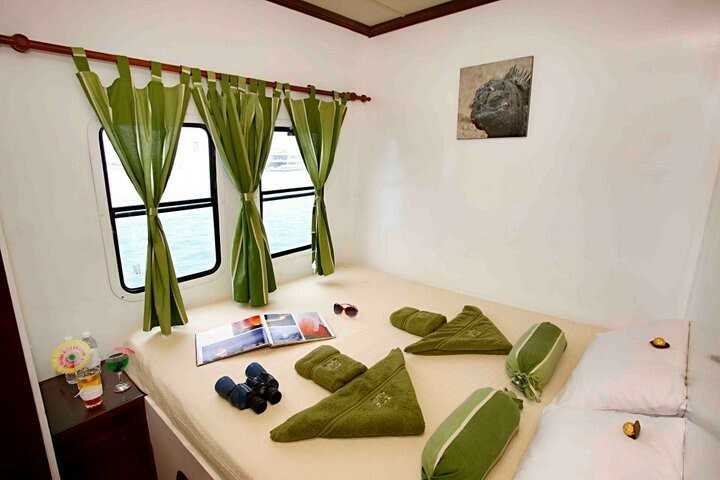 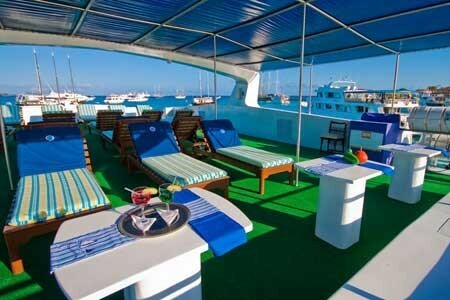 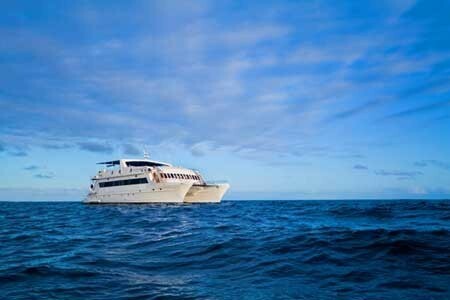 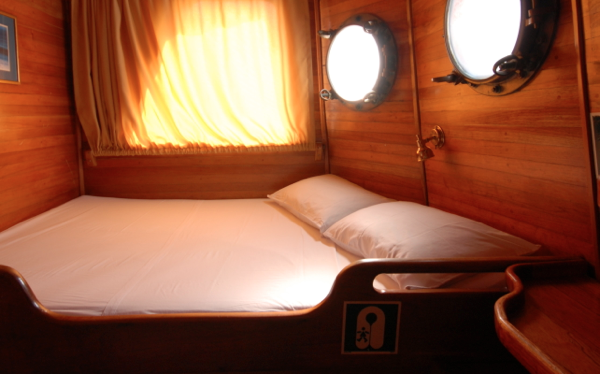 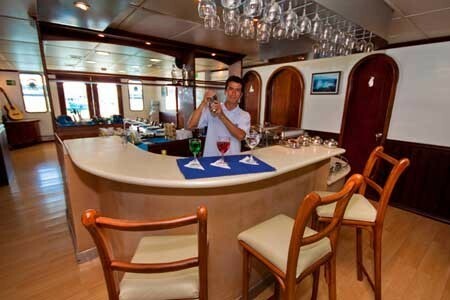 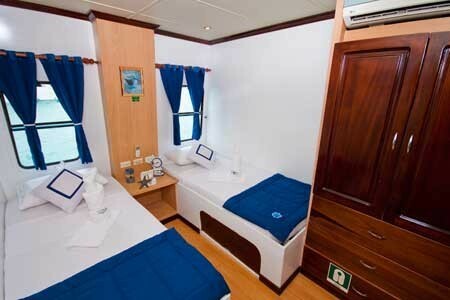 Cachalote I accommodates 16 passengers in it's eight cabins: seven upper/lower berths and one matrimonial cabin all with private baths with hot/cold water showers, fully air conditioned with independent air conditioning units in each cabin. 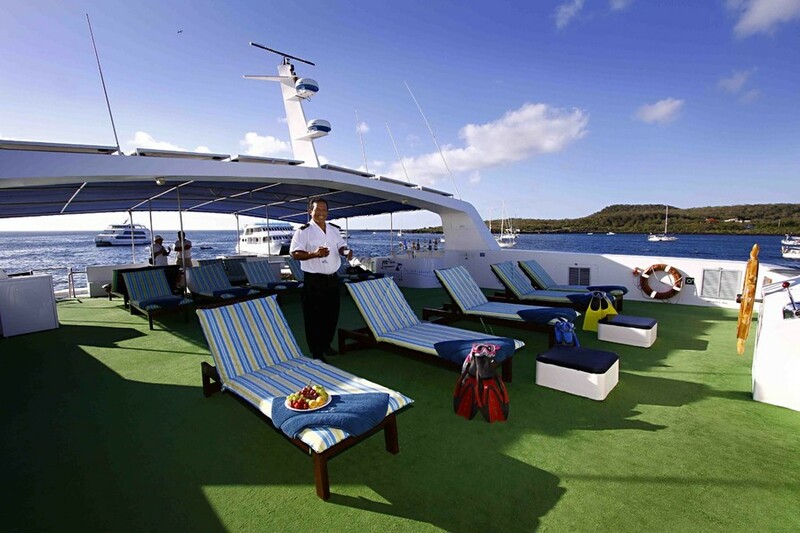 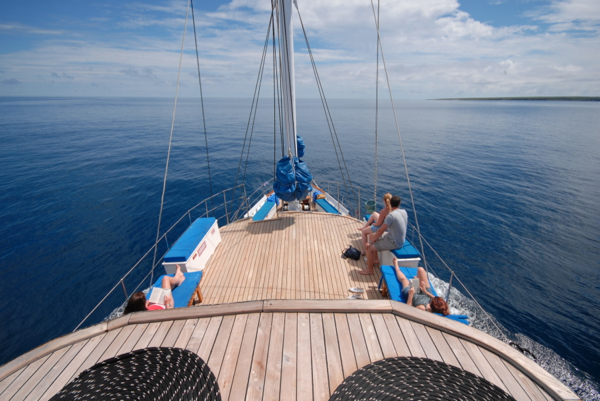 There is plenty of deck space on 3 different wooden decks with seats and cushions to relax in the shade or sunbathe during the cruise, but don’t forget the sunscreen!